Goke: Body Snatcher From Hell (1968, Japan) is a Sci-Fi-Horror film directed by Hajime Sato. Synopsis: Survivors of a plane crash contend with a bloblike alien that turns them into bloodthirsty predators. 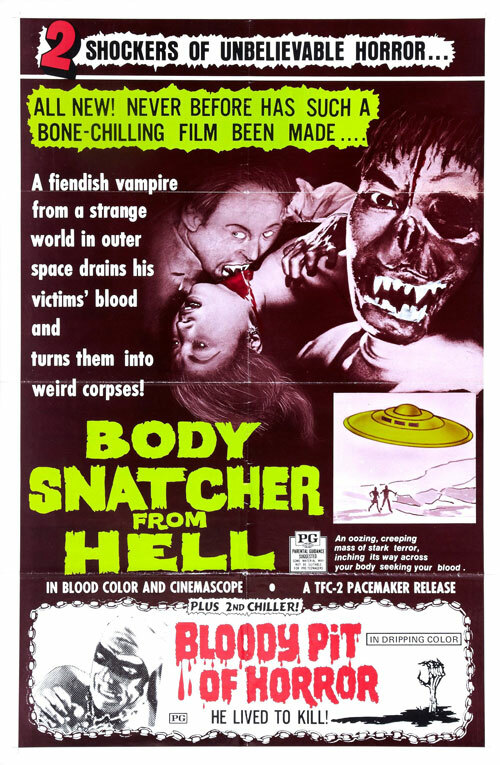 A fiendish vampire from a strange world in outer space drains his victims' blood and turns them into weird corpses! This page was last modified on 27 June 2018, at 17:25.